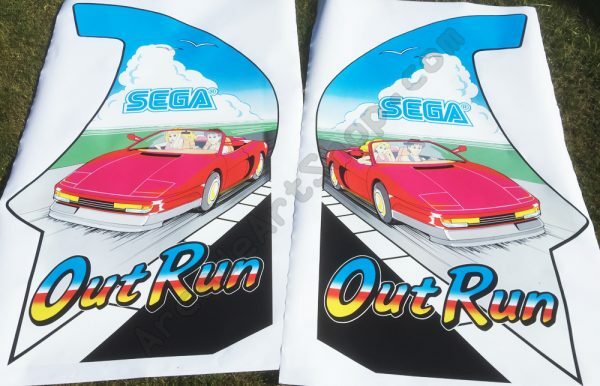 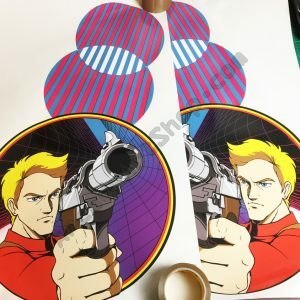 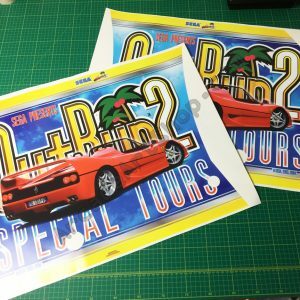 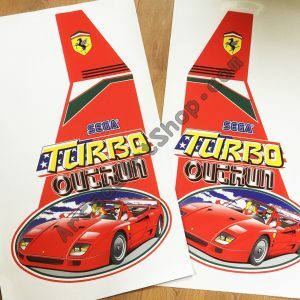 Pair of repro side art decals for Sega’s OutRun. 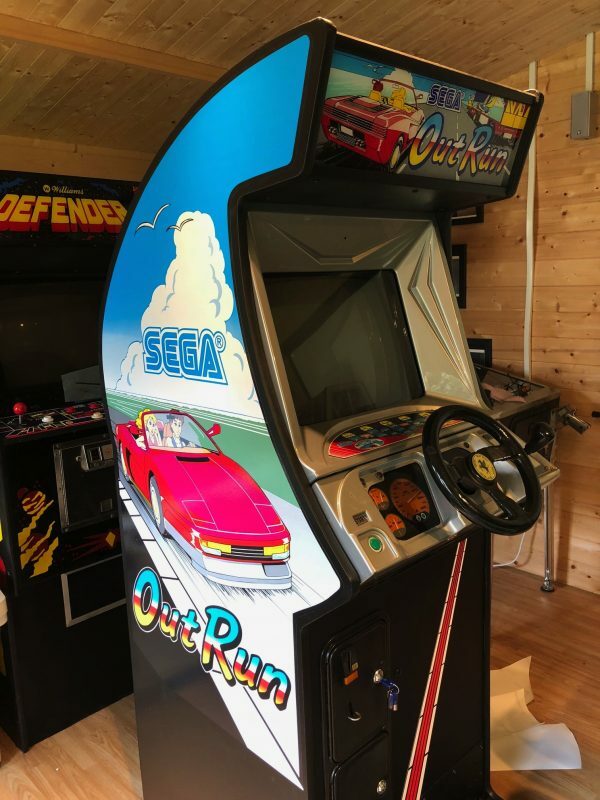 This is for the USA upright and will NOT fit the UK/Euro version (USA built cab has a curve in the top section, the UK one is flat at the back). 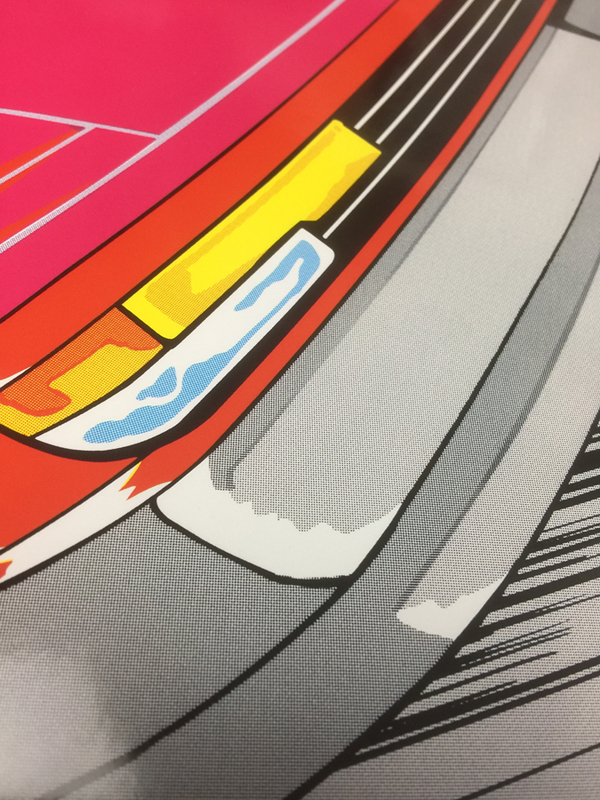 Each side has been recreated from scans of my own set, then Pantone matched for best possible digital reproduction of the original colours. All the original imperfections, halftone dot detail and variations between each side have been copied as they are on my original set. 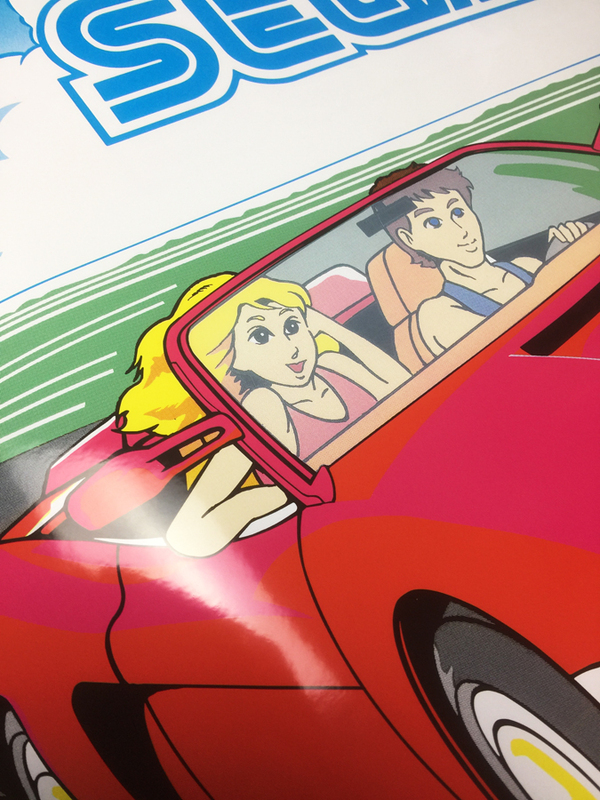 Most repro sets are using a mirror image of the left side piece, so the woman is incorrectly on the kerb side of the car for both sides, this set has a different image for each side as it should! 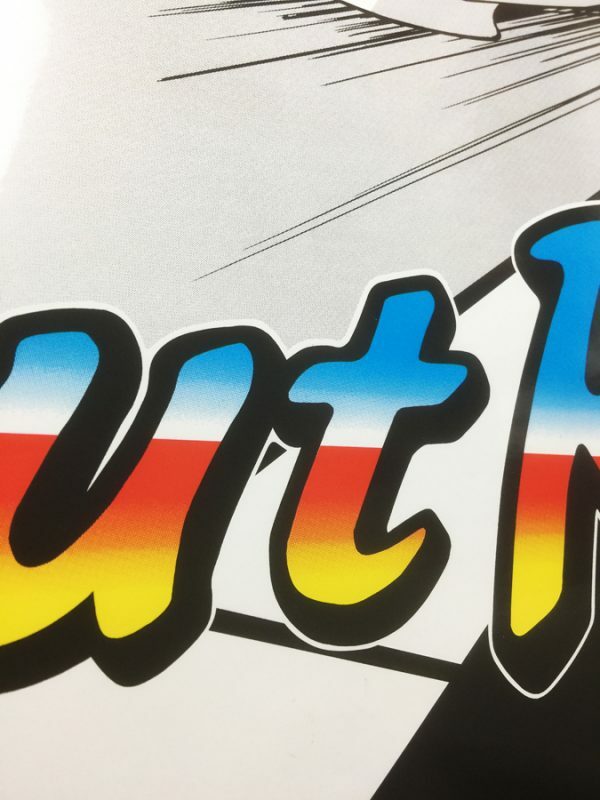 Printed on to premium grade LG Hausys high-tack vinyl and die-cut to the original shape. 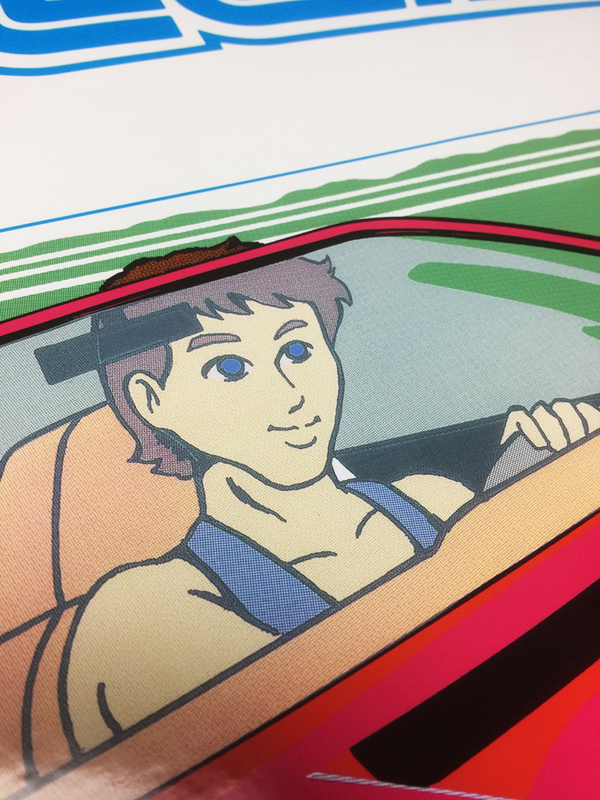 Each piece measures 760 x 1280mm approx.